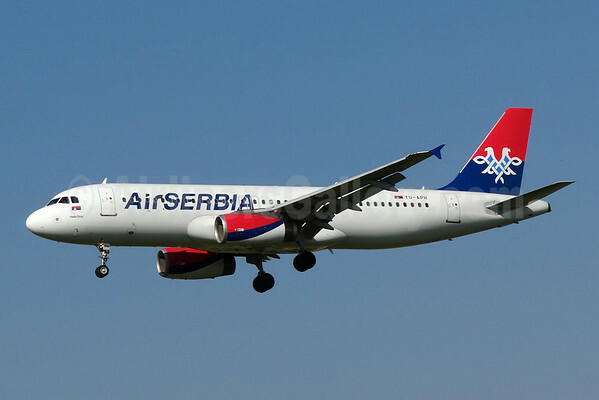 Air Serbia, the national airline of the Republic of Serbia, has reported strong improvement in total revenue for the first half of 2014, with revenues increasing by 82 per cent to EUR102 million, compared to EUR 56 million for the same period in 2013. A total of 944,000 passengers travelled with the airline between January and June this year, almost 70 per cent more than the same period last year. Air Serbia Cargo also performed significantly better in H1 2014, carrying 907 tonnes of freight, a 65 per cent increase on H1 2013. 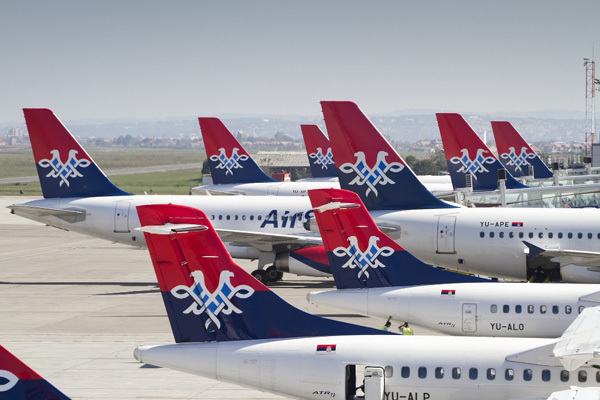 Cargo revenue grew by 32 per cent, an important and burgeoning service for Air Serbia. Air Serbia’s passenger carrying capacity, measured in Available Seat Kilometers (ASKs), was 1,588 million by the end of first half of 2014, an increase of 85 per cent compared to the same period last year. 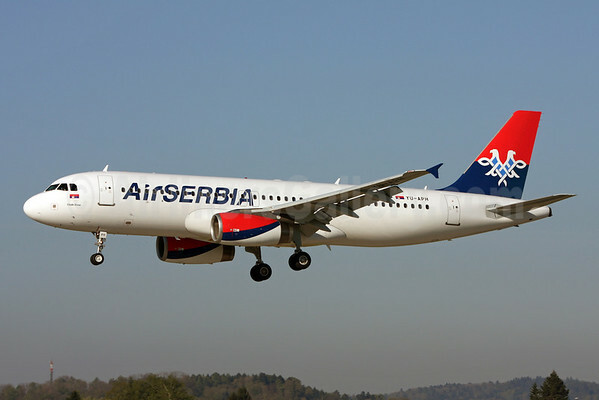 Since Air Serbia’s launch on 26 October 2013, the airline has inducted 9 Airbus aircraft, with two Airbus A320 aircraft delivered in the second quarter of 2014. This has resulted in the average age of the jet fleet being reduced from 25 years to 10 years. Dane Kondić, Chief Executive Officer of Air Serbia, said: “The results are very pleasing and demonstrate how effectively the Air Serbia team is working to deliver on the strategy of sustainable growth. We are on track to deliver a profitable, strong airline by the end of the current financial year, in line with the commitment of our shareholders, the Government of Serbia and Etihad Airways.We expect to maintain the momentum for the second half of 2014, as we continue to reconnect the Balkan region and new markets, through a combination of direct flights, as well as expanding our codeshare partnerships. There is no doubt that we are bringing choice, convenience and comfort to travellers”, Mr Kondić said. The fast-paced growth of Air Serbia’s regional route network to 38 destinations by the end of June 2014, one new and four expanded codeshare partnerships and a more modern and reliable fleet, are the key factors driving growth in passenger numbers and cargo volumes. In the first half of the year, Air Serbia launched 11 new routes. In addition, codeshare agreements with Etihad Airways and airberlin have been expanded to include the holiday destinations of Colombo in Sri Lanka and Palma de Mallorca in Spain. The codeshare agreement with Romanian national airline Tarom was also expanded to include Chisinau, Moldova. Furthermore, the Air Serbia’s codeshare agreement with Etihad Regional, signed on July 1, 2014, has now introduced the attractive Swiss destinations of Geneva and Lugano to travellers. 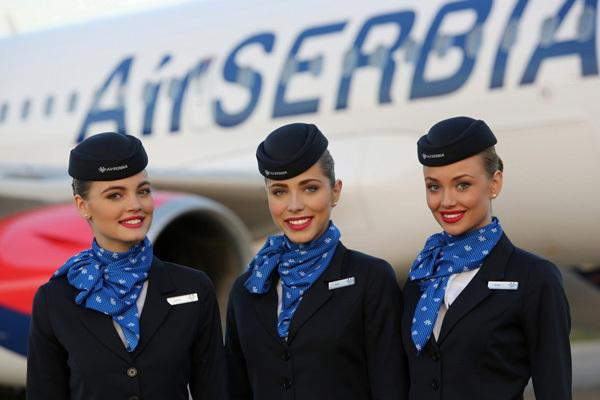 The growth of Air Serbia is also creating a significant number of new jobs for Serbian nationals. In the first half of 2014, the airline grew its workforce by 300 new professionals. Investing in the future, Air Serbia is planning to relaunch its cadet pilot scheme. Elsewhere, 10 young graduates are currently attending a graduate management program in Abu Dhabi with Etihad Airways and will, upon successful completion, join operating divisions across Air Serbia. The technical department of Air Serbia has employed 44 engineers and technicians to establish the line maintenance facility at Belgrade’s Nikola Tesla International Airport. Mr Kondić said that while the operational and network improvements of Air Serbia over the past six months were very important, he was proud that Air Serbia was able to make a significant contribution to Serbia’s humanitarian effort during the recent floods which devastated the country. During the floods in May, Air Serbia transported a total of 154 tons of humanitarian aid (with a service value of approximately EUR 170,000), in the belly-hold capacity of its aircraft to Belgrade and also to Banja Luka in Bosnia and Herzegovina. Copyright Photo: Paul Bannwarth/AirlinersGallery.com. Airbus A320-232 YU-APH (msn 2645) arrives in Zurich. This entry was posted in Air Serbia and tagged 2645, A320, A320-200, A320-232, Air Serbia, Airbus, Airbus A320, Airbus A320-200, YU-APH, ZRH, Zurich on September 1, 2014 by Bruce Drum. Air Serbia (Belgrade) is planning to launch long-haul routes to North America, including Chicago (O’Hare) and Toronto (Pearson) using Airbus A330s, starting in late 2015 according to EX-YU Aviation News quoting Serbian Prime Minister, Aleksandar Vučić at a press conference. 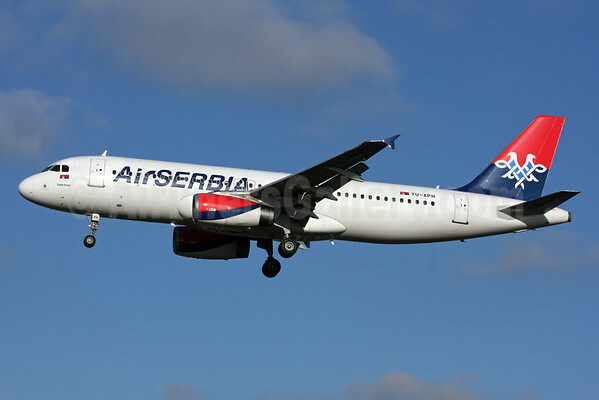 The PM also expects Air Serbia will soon be operating in the black, unlike the losses piled up by the former Jat Airways. Jat Airways in the past operated McDonnell Douglas DC-10s to North America. Copyright Photo: Andi Hiltl/AirlinersGallery.com. This would be the first long-haul aircraft for the revamped airline joining its current fleet of Airbus A319s and A320s, a new type which was just added. Airbus A320-232 YU-APH (msn 2645) prepares to land in Zurich. This entry was posted in Air Serbia and tagged 2645, A320, A320-200, A320-232, Air Serbia, Airbus, Airbus A320, Airbus A320-200, Airbus A330, Chicago, Jat Airways, North America, Toronto, YU-APH, ZRH, Zurich on April 30, 2014 by Bruce Drum.